Dried Lily Bulb has a sweet, slightly bitter and slightly cold properties. 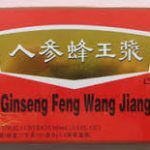 It is use for treating Chronic cough, blood-streaked sputum, difficult to solve chronic low grade fever, insomnia with abundance of dreams, inability to concentrate, restlessness, irritability, due to chronic febrile disease with yinxu (yin deficient) Also for palpitations due to qixu (qi deficient) and yinxu (yin deficient). For treating of ulcer of the stomach. For treatment of pain in solar plexus because of spleen deficient. For treatment of Dengue Fever during frequent urination period. Dried Lily Bulb is not be use in cases of cough due to wind-cold or phlegm, or in those with diarrhea due to pixu (spleen deficient).